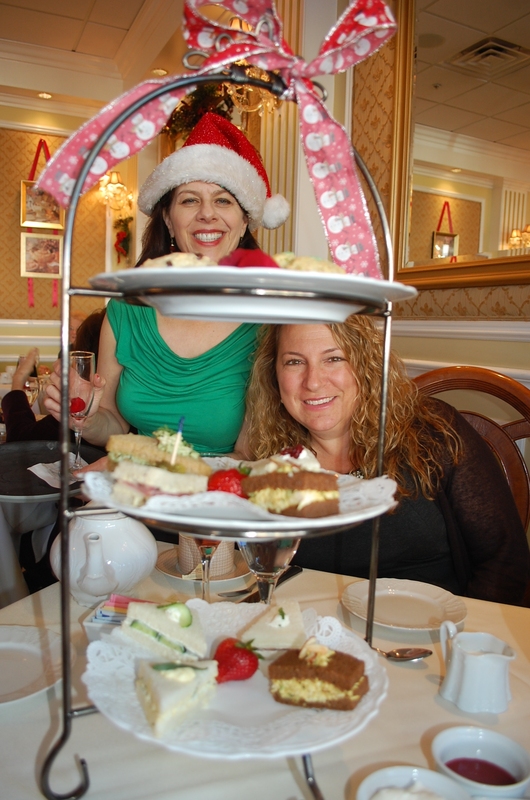 Throughout the years, friends in La Cañada have said positive things about longtime LCF resident Karen Mikaelian, owner of the Scarlet Tea Room. I finally met her last week while enjoying an afternoon tea ceremony with two friends to celebrate a girlfriend’s birthday. Mikaelian, is a spunky blonde, Greek Armenian, who loves food. A jeweler by trade, she switched careers and leased a space on Green Street in Pasadena in 2005 to open a Tea Room. 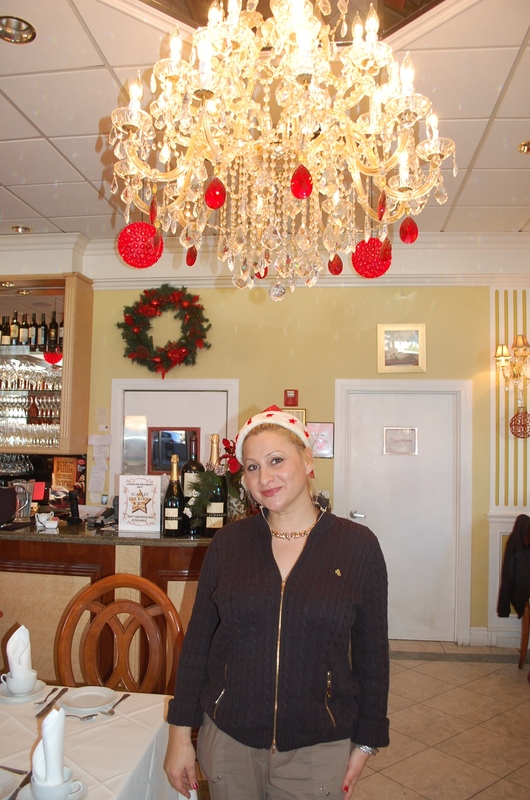 Within seven months, her restaurant was such a success that she leased the neighboring space to add more square footage, obtained a liquor license and hired Cordon Bleu-trained chefs to prepare lunch, afternoon tea and dinner service. On Friday nights there is live piano music entertaining guests, while on Saturday evenings the elegant restaurant is filled with music by a talented Jazz Trio. Mikaelian adds special touches with scarlet colored rose petals floating in glasses of water that is filtered, and then de-chlorinated before served to guests. Her full service restaurant is ordained organic with nothing frozen or packaged. It is one of the only restaurants in California that serves an evening tea on Fridays and Saturdays. 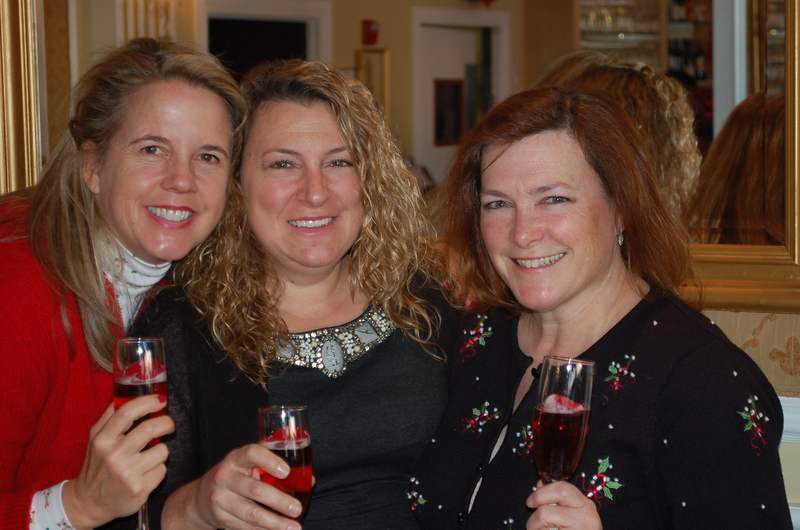 Women’s book groups, birthdays and bachelorette parties enjoy renting out this elegant spot on Sundays. It can seat up to 85 guests and is pretty inside with ornate chandeliers, red velvet curtains, elegant wallpaper and a shiny white grand piano. Don’t be intimidated, it’s not stuffy, but friendly inside. Usually about four times a month, Mikaelian throws a burlesque party at Scarlet Tea Room. Her last one was a True Blood theme during Halloween. “It’s not raunchy at all, but a lot of fun,” Mikaelian said with a smile. She smiles a lot lately, since her good friend Liz Rusnak Arizmendi introduced Mikaelian to her new husband, Ary. “He is the Ying to my Yang,” she laughs. Three and five-course tea ceremonies are served during the day, plus they offer a separate lunch menu. The difference between the three and five course is that guests start with a housemade fruit sorbet to cleanse their palette and receive an assortment of petit desserts with their five-course service. Both tea ceremonies include homemade scones with lemon curd, preserves and a special “scarlet” cream. Diners may select up to four different sandwiches and a pot of loose leaf tea. Some of the teas they serve include: black tea, flavored black tea, olong, green tea, white tea and caffeine-free teas. The Scarlet Tea Room serves a New York style pastrami on rye with housemade mustard and pickles, roast beef with white Cheddar, and a chicken tahini. There is also the traditional egg salad with fresh tarragon, cucumber and watercress and French ham with Provolone. 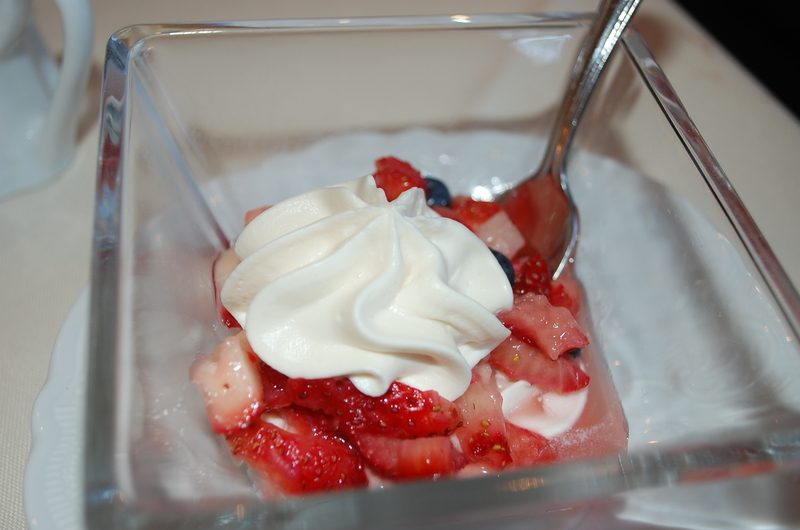 An ideal sweet ending to the tea ceremony is Strawberries Romanoff with chopped organic strawberries, orange liqueur and a delicious brown sugar whipping cream. “Our dinner menu changes every three months with offerings from land, water and air dishes, “ shared Mikaelian. “The country-fried quail is one of the best in town.” Other dishes include lobster strudel, grilled baby lamb chops, tea smoked moullard duck, coffee crusted prime rib eye and Scarlet’s catch of the day. Next time you want to meet friends for celebratory lunch or afternoon tea or dinner date with your loved one, take a drive into Pasadena to the Scarlet Tea Room. Scarlet Tea Room 18 W. Green St. Parking is free for 90 minutes at the Pasadena parking structure on the North-East corner of Green and Fair Oaks.